The mainstream media is falling over itself to report on the resignation of the U.S. Ambassador to Panama, John Feeley, "on principle" saying he can no longer serve President Trump. “As a junior foreign service officer, I signed an oath to serve faithfully the president and his administration in an apolitical fashion, even when I might not agree with certain policies. My instructors made clear that if I believed I could not do that, I would be honor bound to resign. That time has come,” Feeley said, according to an excerpt of his resignation letter read to Reuters. BREAKING: NBC confirms with the State Department that the U.S. Ambassador to Panama, John Feeley, has resigned because he no longer feels he can comfortably serve under @realDonaldTrump. 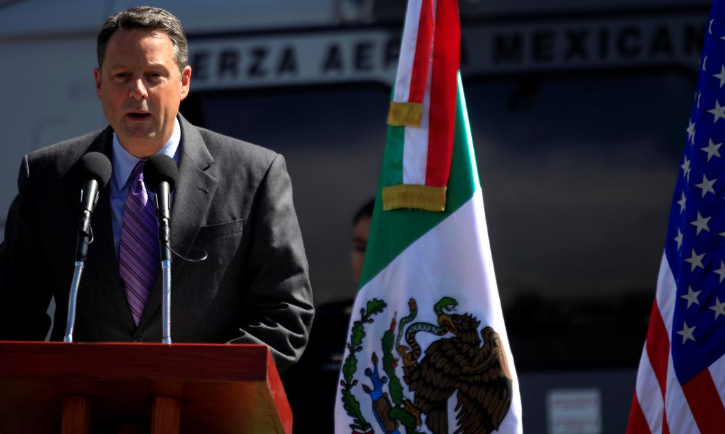 Feeley is the first U.S. diplomat to resign over the president's comments. Naturally creating yet another sense of chaos in the administration. All: The #US embassy in #Panama announced Ambassador Feely's resignation yesterday (before the comments). Also, he had told colleagues of his intention to leave last September. And actually signed his letter of resignation in December - Ambassador Feely's resignation letter was dated December 27, 2017.